Super lightweight, breathable, and durable, these leg guards are designed to fit great, take abuse, and be super comfortable. 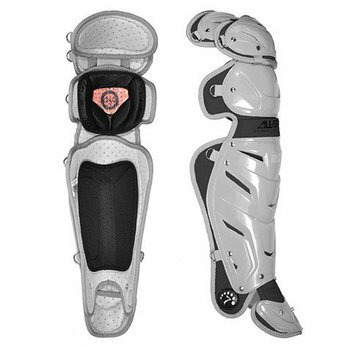 The triple knee design is ideal for extra protection. Extra thick plastic molds are used for the knees to prevent cracking. Large perforated padding and vented shins help the player’s legs breathe while the DeltaFlex™ harness pre-crosses the straps to keep the back of knee free and prevent leg guards from shifting. 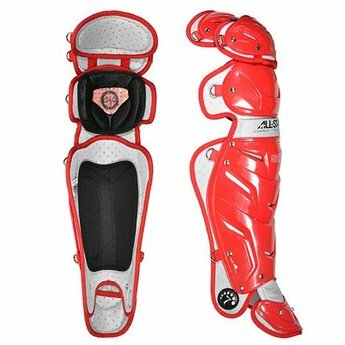 The adjustable GEL knee pad and ergonomic shin pads help keep knees healthy and eliminate bruising. Shin plastic is moldable, so feel free to flare them out or flex them in to help with the fit.